Organized by the Nippon Ramen Association, the annual Tokyo Ramen Show returns this autumn for an 11-day festival celebrating one of Japan’s most famous culinary exports. Taking place at Komazawa Olympic Park, the 10th anniversary show is shaping up to be this year’s go-to event for ramen enthusiasts. Already boasting the accolade of being the biggest ramen-related event in Japan, Tokyo Ramen Show hopes to use the event to help further the noodle dish’s diffusion across the globe. The event is split over two periods - the first from Oct 25 to 30, and the second from Oct 31 to Nov 4. Offering 18 different varieties of ramen per period, the show is serving up a whopping 36 different varieties of the dish. These dishes serve as a culinary tour of the country; the show aims to allow visitors to enjoy a taste of each corner of Japan through the many bowls available. 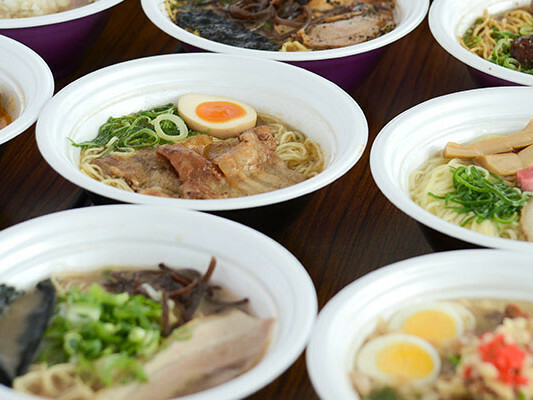 If that’s not enough, the organizers are offering up a special collaboration ramen, concocted by famous ramen outlets from across the country, that can only be sampled at the event. Entry is free; however tickets to be be exchanged for a bowl of ramen must be purchased. One ticket is 850 yen and can be bought on the day or in advance from 7-Eleven stores. A special discounted set of five can also be bought from 7-Eleven for 4,000 yen. In addition, to provide some entertainment, Tokyo Ramen Show is offering up two of what it calls its “special supporters” -- idol groups to help add some extra spice to the event. This year, Full Power Girls R and Chubbiness are taking the main stage. To get a taste of who to expect, you can watch them taking a special ramen-related exam in two videos on Tokyo Ramen Show’s official website. Warm your stomachs and hearts this October with a trip to Tokyo Ramen Show and maybe discover something new about your favorite dish. Cost: Entry is free. One ticket is 850 yen. Those bowls of ramen sure look great! Sorry, but I've been to Kitakata Machi. I am ruined for life.